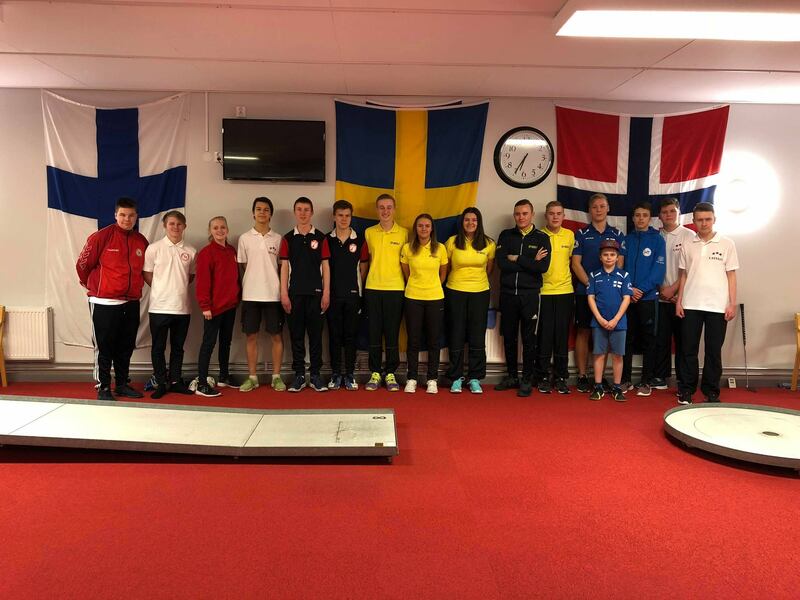 The Nordic Championships 2018 was held in the city of Asarum, Sweden on March 31 and April 1 (or as a minigolf enthusiast might put it, the Easter holiday was saved!). The Nordic Championships is represented by five nations: Sweden, Finland, Norway, Denmark and Latvia. The place to be is always within these nations and this year, Sweden got the honours to host. These nations had to prepare themselves for a two-day competition consisting of six different individual categories with four team competitions attached to it. The individual classes were Youth Male/Female, Senior Male/Female, Male and Female and consisted of eight rounds over two days. The team competition was compromised to Youth, Senior, Male and Female and consisted of six rounds also over two tournament days. The Norwegian team were the ones who wanted to have an extra edge to the home teams of Sweden, and arrived to practice a week before the competition started. The ones who did not get the best practice opportunities where Latvia, who showed up two days prior to the start. In between these teams we got the Finnish, the Danish and the Swedes, who all got some good practice time. But practice is practice and it is your rounds in the competition that matters in the end. The Norwegians might have a bad day, meanwhile the players from Latvia might found the last-minute shape that would change everyone�s expectations? This is minigolf and we all know that everything can happen when the competition finally starts. But before we head into the competition, let us take a moment and amaze ourselves with the beautiful facilities this small organisation (Asarums Minigolfclub) had to offer. What Minigolfnews found out is that Asarums Minigolfclub is the only club in Sweden that have built a building prior to cover a miniature course. With lots of open spaces around the course, a full-on kitchen area, but also conference rooms, this building was really something extra. The scores were overall pretty low and it looked like the players did feel more relaxed playing in these fine environments. As mentioned about the scores, they were low. To win the Male category, you had to perform a score lower than 20.8 in average over eight rounds, which is just world class minigolf. But the first day, that consisted of the first four rounds in both individual and teams, Sweden did make a really strong statement. By being in the lead in every individual category as well as in every team competition, Sweden should make it hard if someone else should beat them at their home course in Asarum. The second and final day should be known as the day where it should be some movement in the field. But the movement did not reach the top position, which means that all ten gold medals in this championship did go to the home nation, Sweden. What an incredible achievement from the whole Swedish organisation, to push their top players from day one all the way to victory. Beneath the all winners, there were some really close and exciting battles for silver and bronze. In Youth Male category, where one bad round from Rasmus Bergqvist (SWE) cost him a medal as well as in Senior Male category were a bad round from Lars Kvael (NOR) cost him the gold. But it could also be, as in Female category, where a good finish the last day from Mirva Juhola and Sandra Walker (FIN) was the thing earned them both silver and bronze. Once again, this is minigolf. A sport we all love because of the tension and because sometimes only one shot or one bad decision is the difference between winning and losing. It creates bonds between nations and that is one of the reasons these relatively small international championships are so important for the players and this sport as a whole.